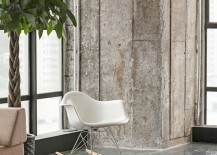 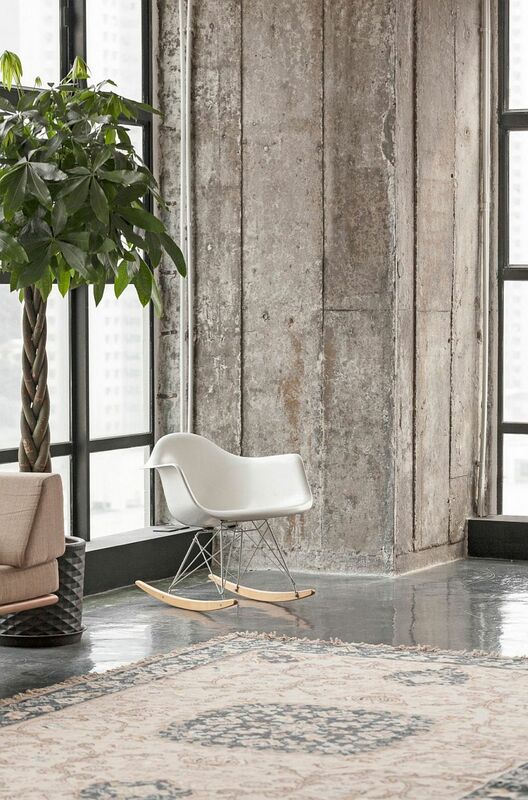 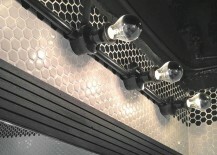 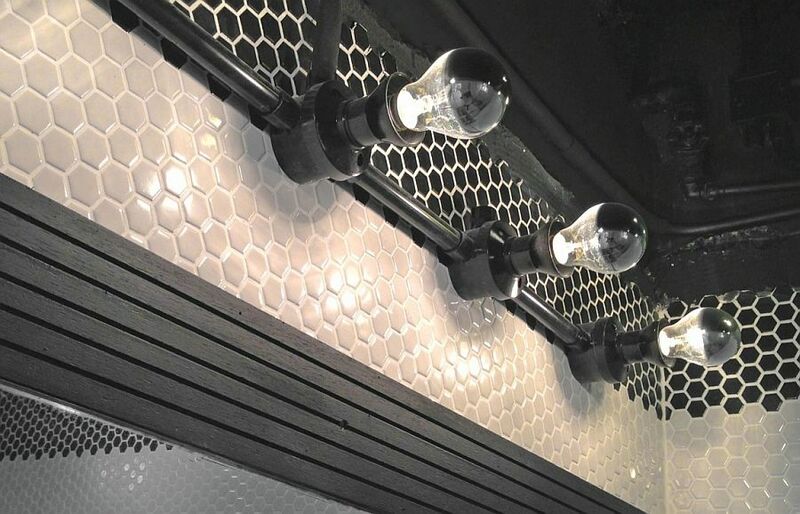 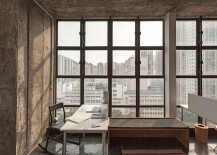 Adaptive reuse has become a mantra of sorts among architects and designers in the past few years. 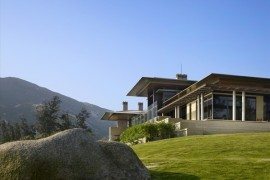 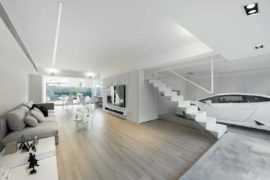 A clever modification of the existing structure to suit the needs of the modern homeowner instead of completely tearing it apart to build a brand new home does make plenty of economic sense. 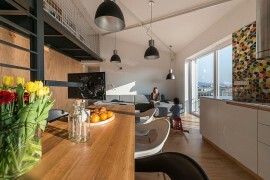 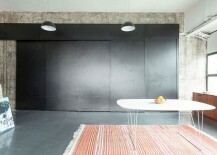 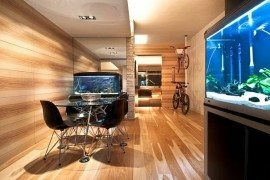 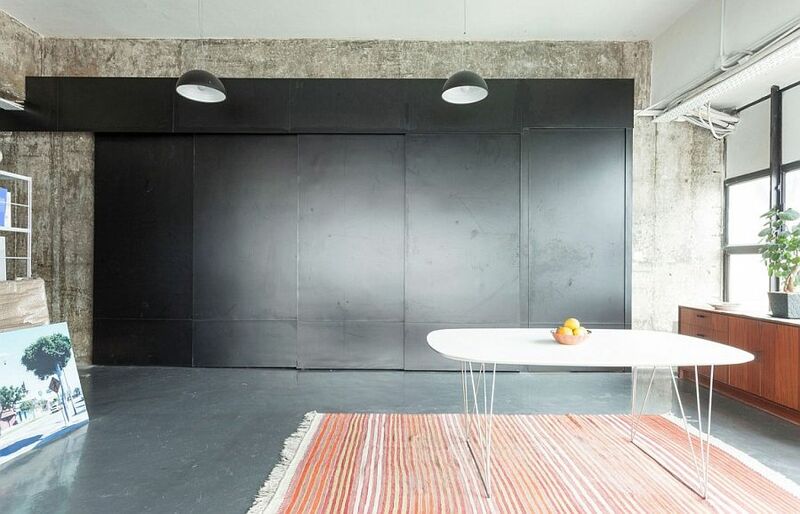 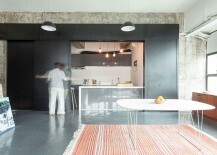 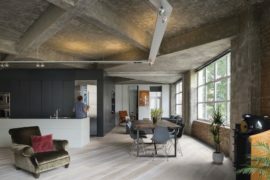 In a city where real estate prices can pretty much soar as high as its impressive skyscrapers, Mass Operations transformed an old, industrial property into an ergonomic apartment that showcases a practical, industrial style of its own. 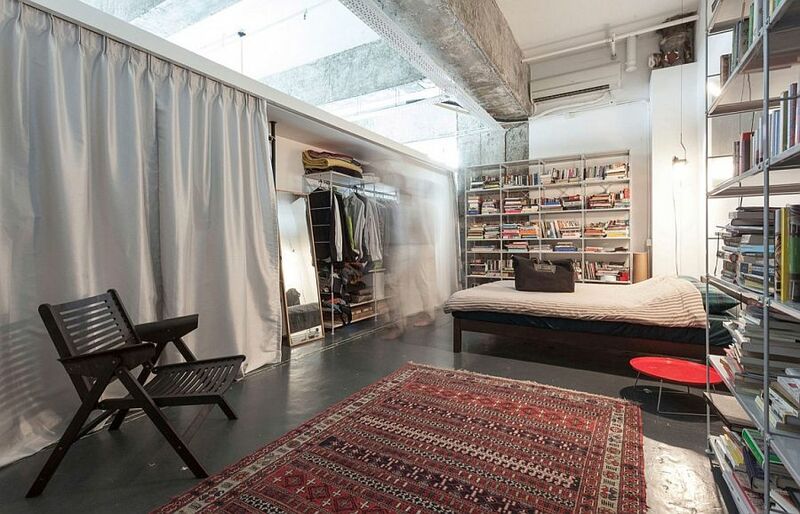 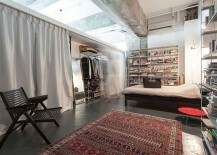 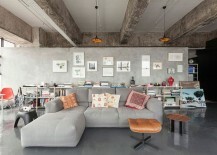 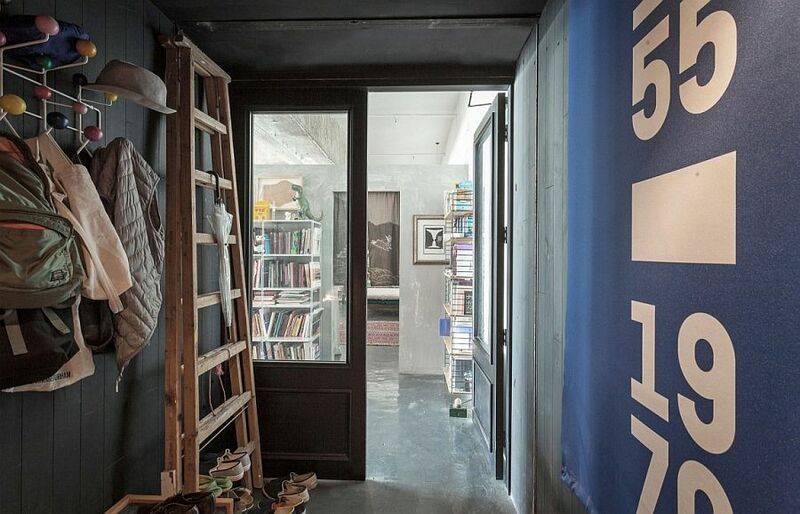 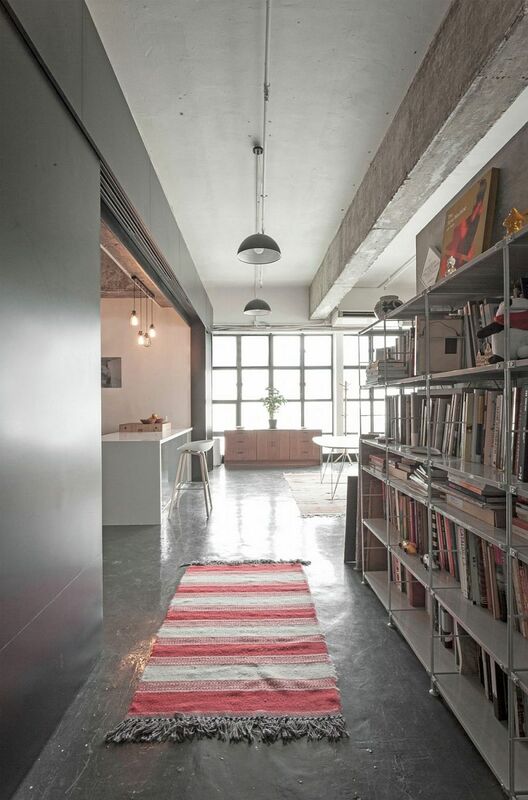 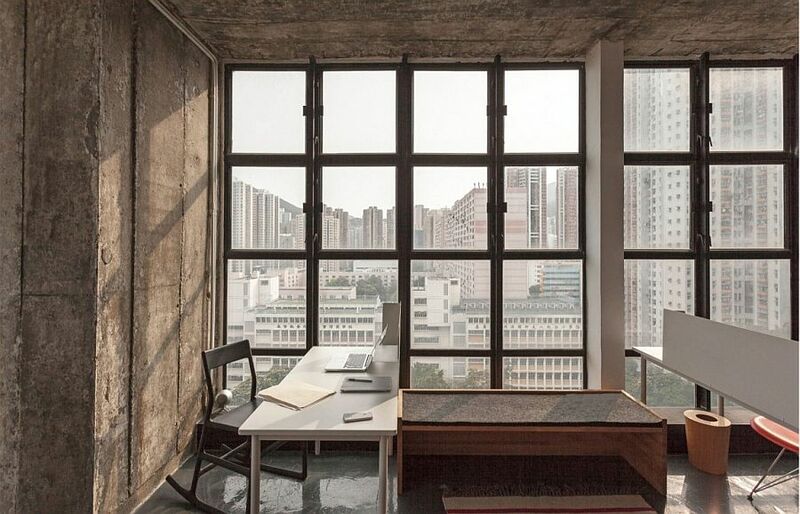 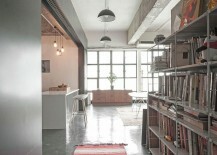 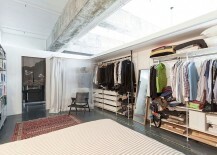 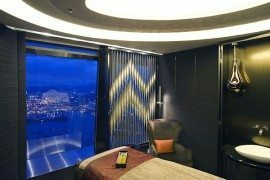 The Art Collector’s Loft in Hong Kong is all about an inventive, budget-friendly overhaul! 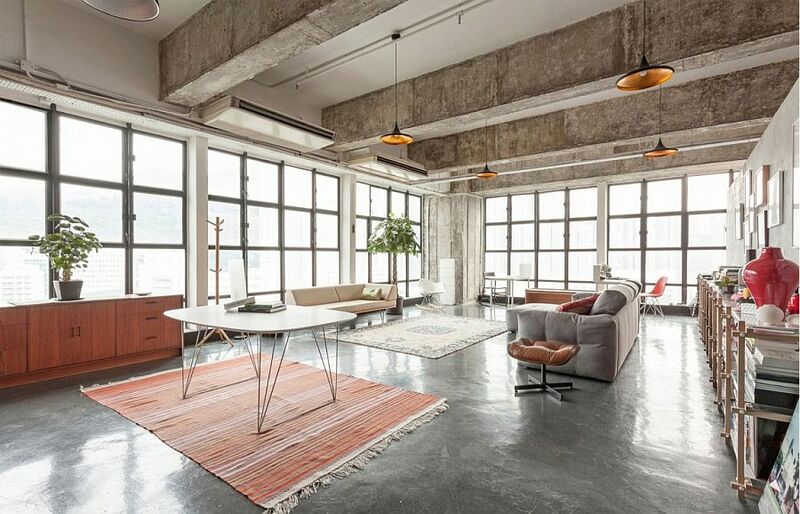 The high ceiling of the industrial loft gives the interior a roomy feel, and the 2,368-square-foot space seems even more airy because of the ingenious partitions indoors that keep visual fragmentation to a minimum. 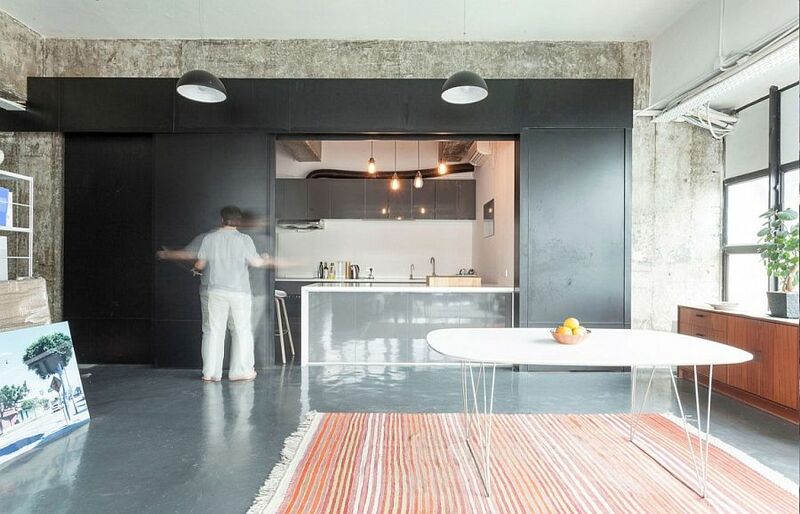 The large living area also contains the dining space, with the catering kitchen being hidden away behind large sliding partitions that double as cool message boards. 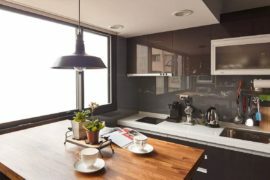 This hidden kitchen gives the apartment a cleaner and more modern ambiance, creating ample space for entertaining friends and guests. 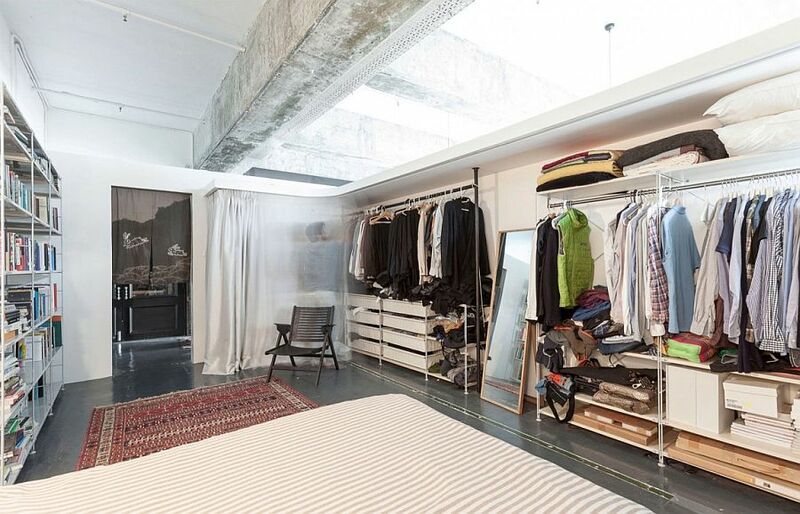 A concrete wall separates the living area from the bedroom that employs curtains to craft a breezy walk-in closet that disappears when not needed. 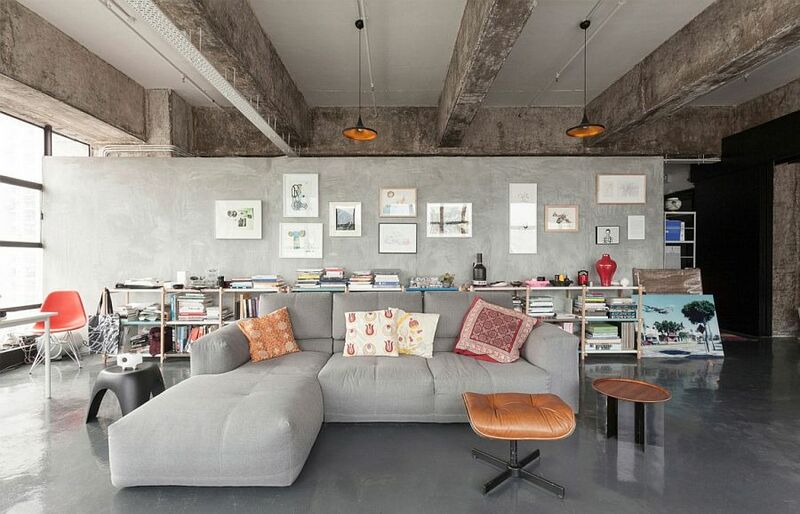 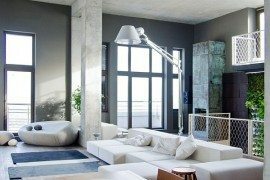 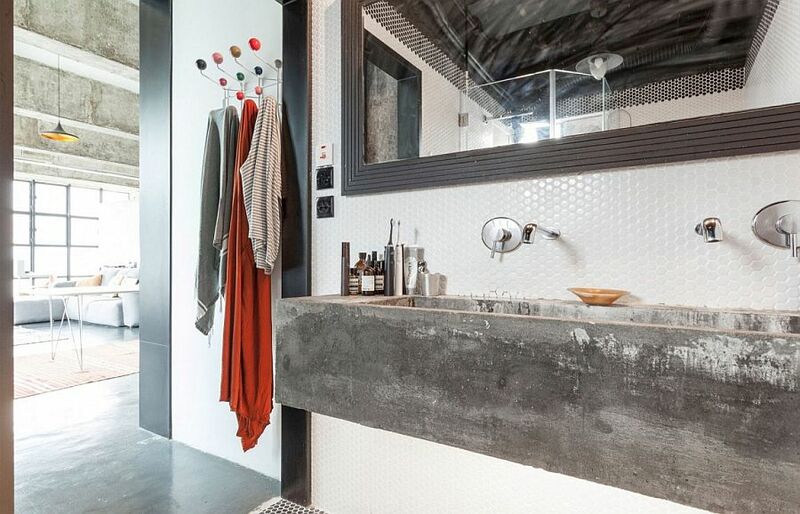 This is a loft where the style is distinctly industrial with exposed concrete surfaces, piping and scraped beams dominating the visual. 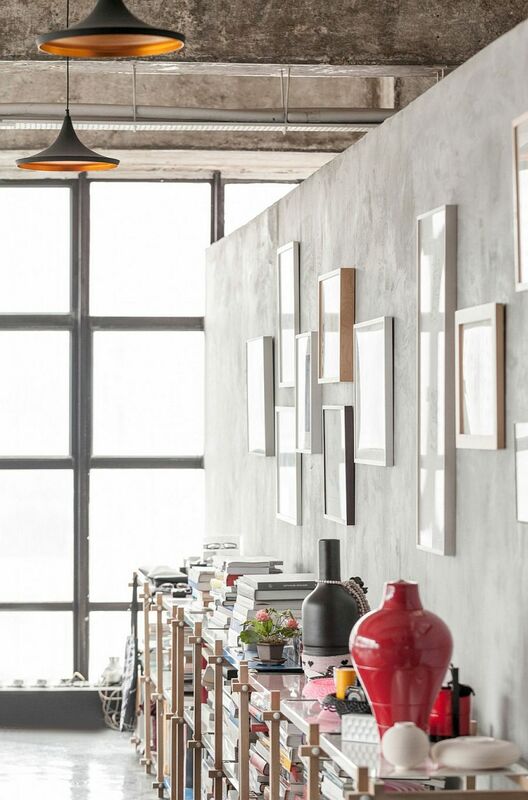 With the loft’s owner being an avid art collector, books and artwork get a prominent place in every room, even as beautiful pendants complete the stylish makeover.